below are samples of some of our past works and collaborations.. 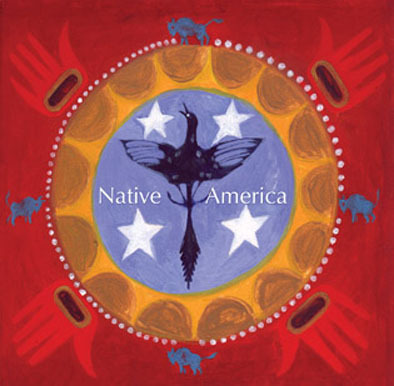 Native America: Highly successful studio/library album based on traditional themes, with a contemporary feel. 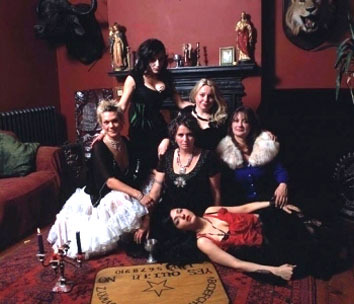 Domenic and Vince wrote and recorded with South African writer/producer Robin Hogarth in their Twin Arrows studio and mastered in The Dairy in Brixton for release through Music House/ EMI, UK. 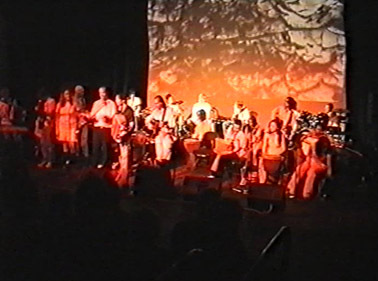 Production included guest musicians, a choir, string sections, traditional and Native American instruments. 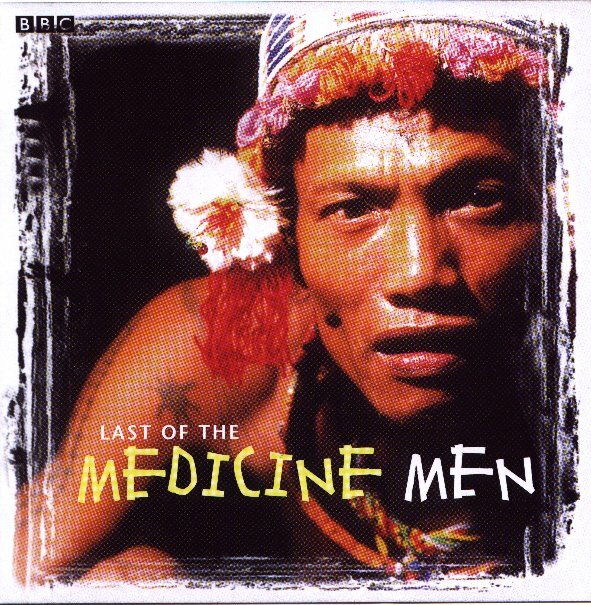 The Last of the Medicine Men: Recorded music and commentary for this BBC2 TV series, produced by Salim Salam, chronicling Benedict Allen's journey into world of the shaman (medicine man) through four countries & cultures (Tuvans of South Siberia, Huitchol of Mexico, Haitians of the Caribbean, Kerai of Siberut Island of Sumatra in Indonesia). 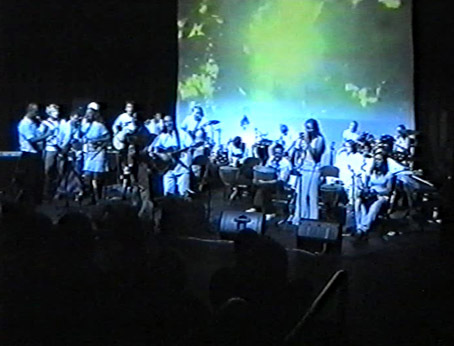 Music composed by Michael Ormiston & Keith Waithe. Silk Road Tales: Domenic was workshop facilitator and performer for this month long BBC-British Library project for 12-17 year old students, culminating with a live performance at London's Shaw theatre. Conducted by the celebrated composer Steve Montague. Domenic & Vince DeCicco in 2 unique performances with the popular music students from Stratford-Upon Avon College...included were lectures and workshops/rehearsals with the students for the month leading up to the final show. 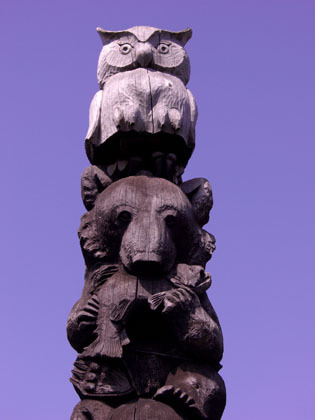 Commissioned by Head of music and acclaimed composer/musician David Coulter. 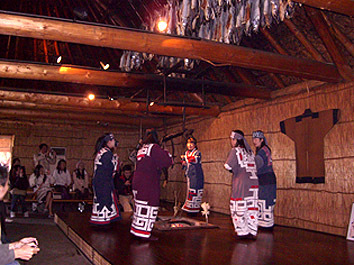 Artists of the Wilderness: The project with Domenic as artistic producer was awarded a grant from the The Daiwa Anglo-Japanese Foundation, to travel to Japan and research the stories, art and music of the Ainu Peoples of Hokkaido. 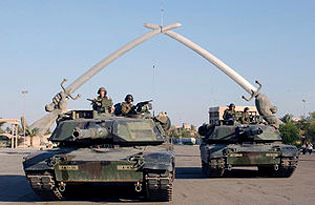 This was an initial meeting towards the possibility of a future exhibition and collaboration. 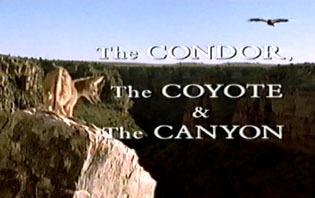 The Condor, the Coyote and the Canyon: Voice and percussion by Domenic on background music for this Survival Anglia/ Discovery Channel documentary. Music produced by acclaimed Grammy award winning composer /producer Robin Hogarth. 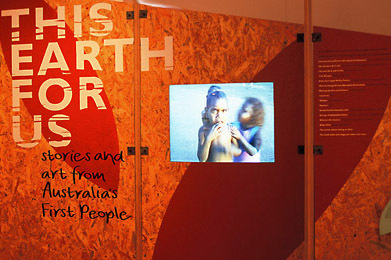 Australia Dreaming Exhibition - This Earth For Us. 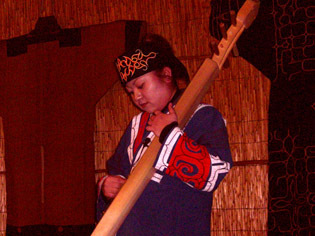 Music for accompanying film. 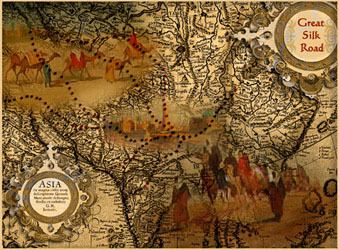 Exhibits in London, Bristol, Edinburgh and Sidney. 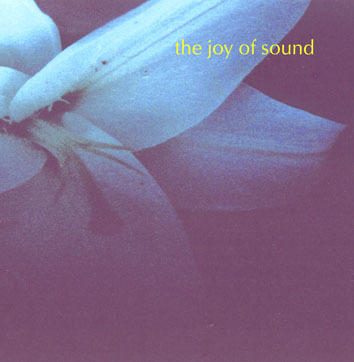 The Joy of Sound: Domenic and Vince created and produced the music for a CD with a group of adults with severe learning difficulties and 50 guest musicians in a truly interactive project for the Peabody Trust and Millennium Fellowship. Zone Music: Placed songs on 2 box cd sets. 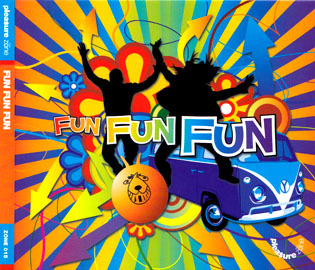 Domenic and Vince provided music for the Cd's entitled Pleasure Zone and TV Zone. 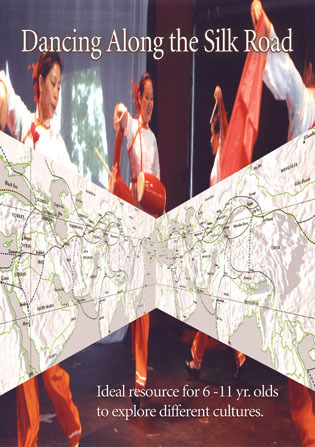 Dancing Along the Silk Road: Domenic mastered and produced both the music and artwork school resource pack with accompanying Cd for the Chinese Cultural Centre in London. Included was a voice over for introduction by Domenic. 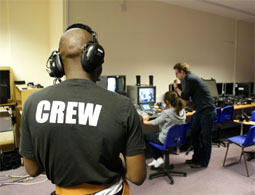 Hammersmith and West London college: Domenic was invited by the Music department as guest speaker for several sessions covering topics such as vocal techniques, music and business, song structure and promotion. 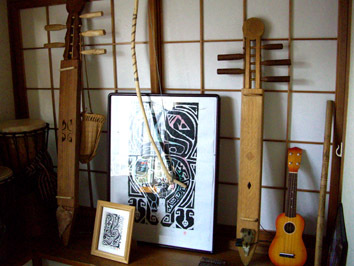 Keith Waithe: Domenic produced and recorded the Rhythms of Freedom album by world-renowned jazz/world flautist. he also designed Cd cover. 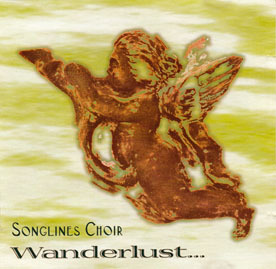 Wanderlust: Album from London based choir, Songlines. 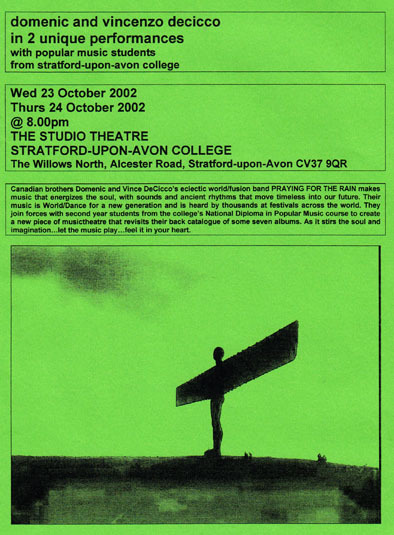 Recorded live at the Union Chapel and Twin Arrows studios. 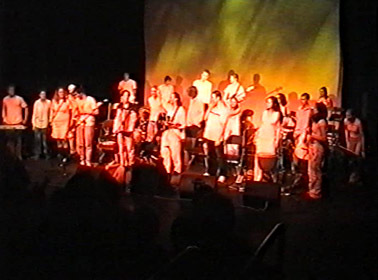 (Domenic recorded, edited and produced the Cd, as well as artwork ) He also performed at the live concert. 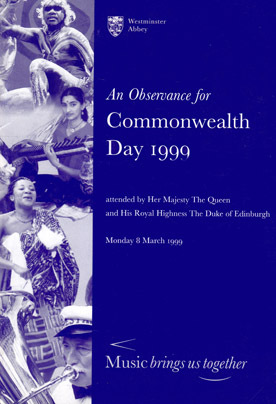 Commonwealth Day 1999: Domenic and Vince with David Coulter perform for world leaders and dignitaries during this observance at Westminster Abbey hosted by The Queen and the Duke of Edinburgh.